Fruits and vegetables can be added to your baby’s diet after 6 months of age. Pumpkin is rich in fiber and low in fat and calories. 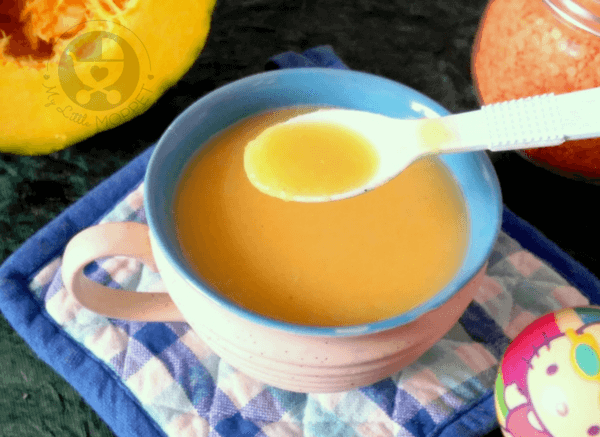 Pumpkin and Red Lentil soup serves as a warm and comforting food to your baby or toddler. Red lentils are a good source of protein and cooks fast compared to other lentils. 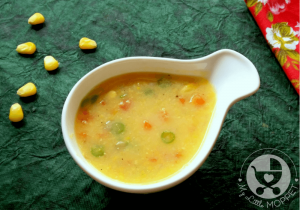 It is also easy to digest, making this a must try recipe for your little one! 1. 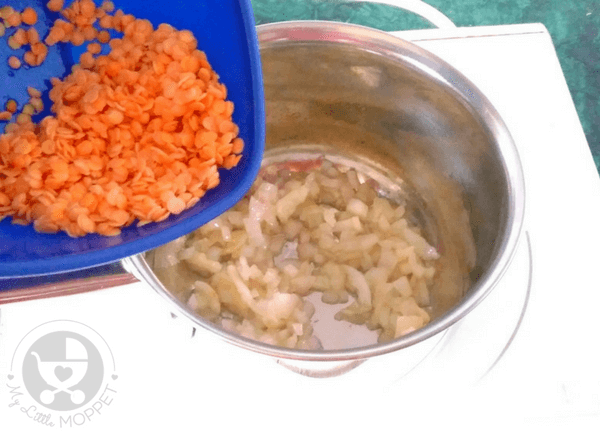 Rinse the red lentils in clean water and soak for 10- 15 minutes. 2. Meanwhile, peel and roughly chop the pumpkin into cubes. Peel garlic clove and chop the onion. 3. In a sauce pan heat ghee on medium flame. Add minced garlic followed by onion. Sauté for a minute. 4. Add the soaked and drained red lentil. Stir well. 5. 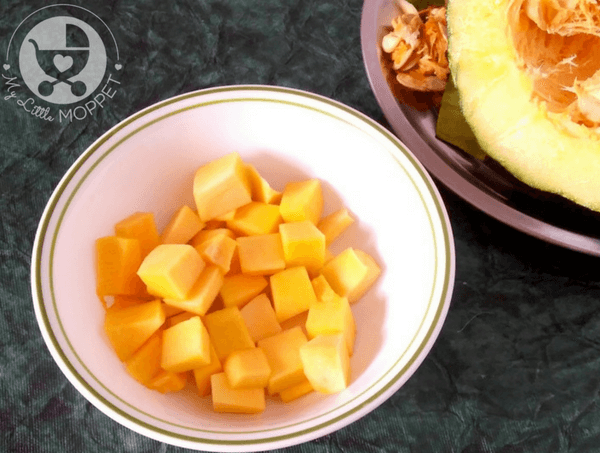 Add chopped pumpkin and stir fry for another 1 minute. 6. Add 3 cups of water and salt to taste (add salt only for babies above 1 year). Simmer the mix until both pumpkin and red lentils are cooked thoroughly. Put off the flame. 7. Allow the cooked pumpkin to cool down to room temperature. 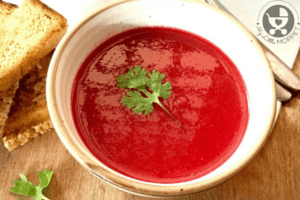 Blend with a hand blender or food processor to get a smooth puree. 8. 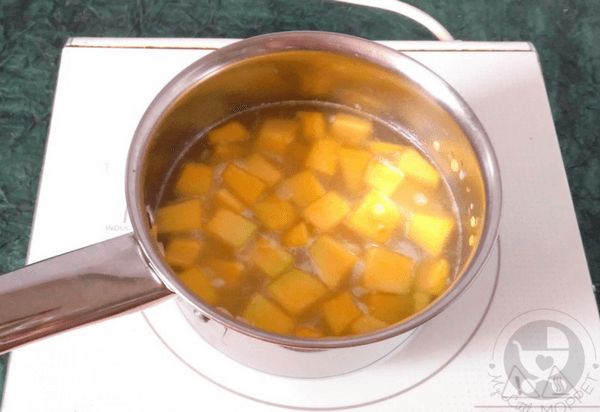 Transfer the saucepan with the pumpkin puree to heat. Add a pinch of black pepper powder and allow the puree to boil. Put off the flame. 9. 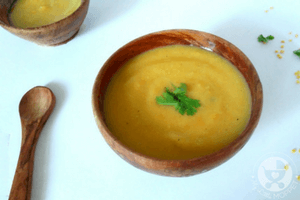 Serve the pumpkin red lentil soup warm. You may add a little cinnamon powder to the soup while serving in case you are not adding salt and black pepper powder. Avoid salt for babies under 1 year, but you can add the spices. 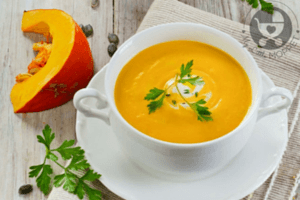 Go for ripe pumpkin which is tender but not mushy – that’s the kind of pumpkin that’s ideal to prepare this soup. 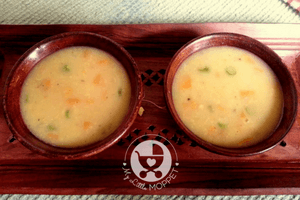 You can also try our easy Pumpkin Soup recipe for babies. Let our little ones get used to this super immune boosting vegetable! 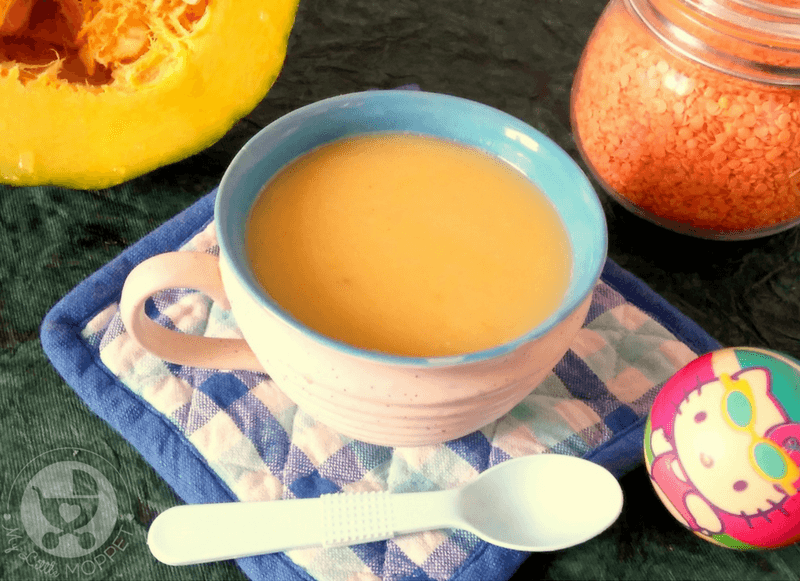 Rich in fiber & protein, this Pumpkin and Red Lentil soup is a warm and comforting food for your baby or toddler. It's also easy to digest for little ones! 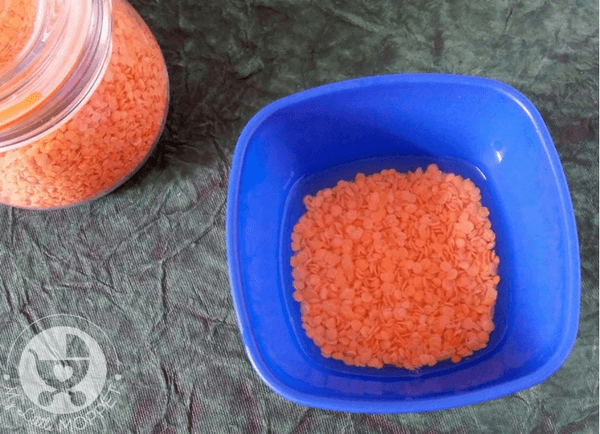 Rinse the red lentils in clean water and soak for 10- 15 minutes. Meanwhile, peel and roughly chop the pumpkin into cubes. Peel garlic clove and chop the onion. In a sauce pan heat ghee on medium flame. Add minced garlic followed by onion. Sauté for a minute. Add the soaked and drained red lentil. Stir well. Add chopped pumpkin and stir fry for another 1 minute. Add 3 cups of water and salt to taste (add salt only for babies above 1 year). Simmer the mix until both pumpkin and red lentils are cooked thoroughly. Put off the flame. Allow the cooked pumpkin to cool down to room temperature. 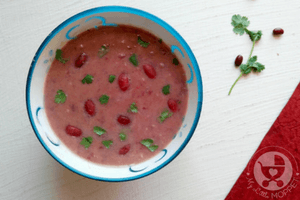 Blend with a hand blender or food processor to get a smooth puree. 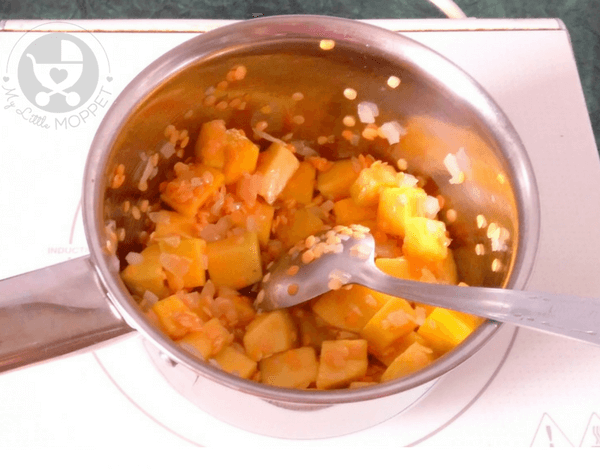 Transfer the saucepan with the pumpkin puree to heat. Add a pinch of black pepper powder and allow the puree to boil. Put off the flame. 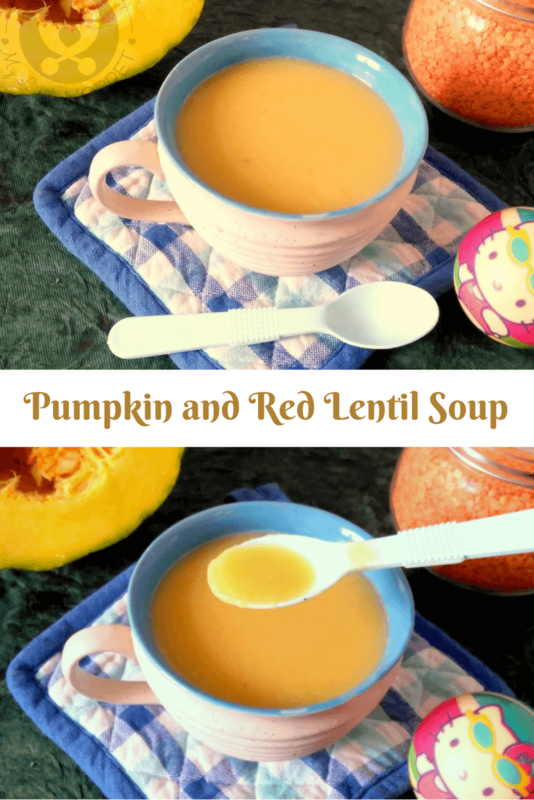 Serve the pumpkin red lentil soup warm. You may add a little cinnamon powder to the soup while serving in case you are not adding salt and black pepper powder. Since mutton is a little hard to digest, you may want to wait for a few more months. You can first start with eggs, chicken and fish , then eventually introduce it in very small quantities.